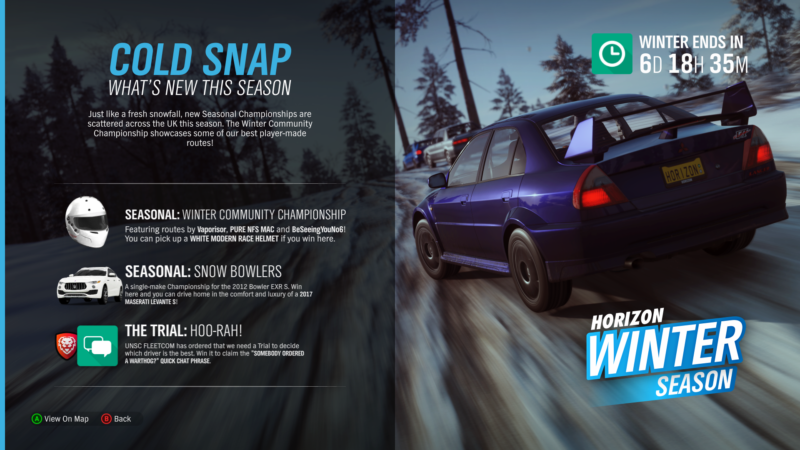 Grab your coat and snow boots, because a new season has landed in Forza Horizon 4. As with previous season changes, there’s plenty of content for players. There are also plenty of new events and prizes for players to chase after. Before going to play in the show, let’s run down what Winter brings to the table. 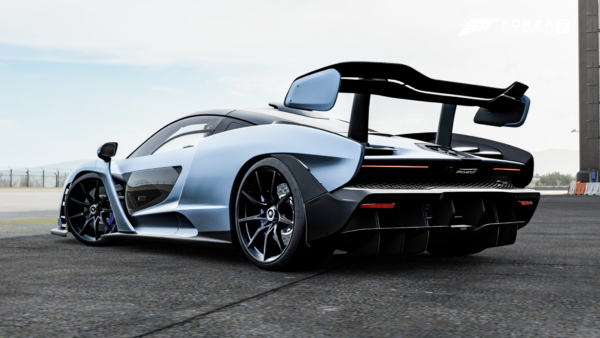 The Car Pass for this week brings a pair of debuts to Forza Horizon 4. Unlike last week, these toys are more humble than legendary. 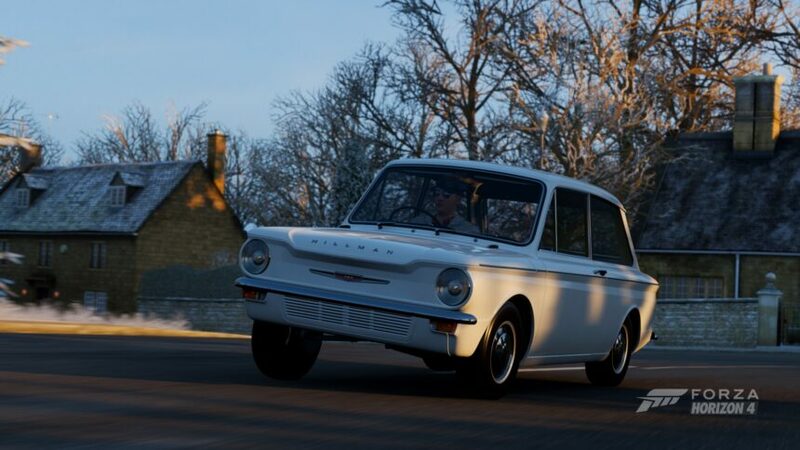 First up is the 1966 Hillman Imp. This British oddity is one of the forgotten models of the 1960s, often overshadowed by the Mini. However, the Imp has a surprising motorsport pedigree, with success in both rallying and touring car racing. Performance is not one of the Imp’s strong points. Despite being rear engined like a Porsche 911, the 875cc engine makes just 55hp. 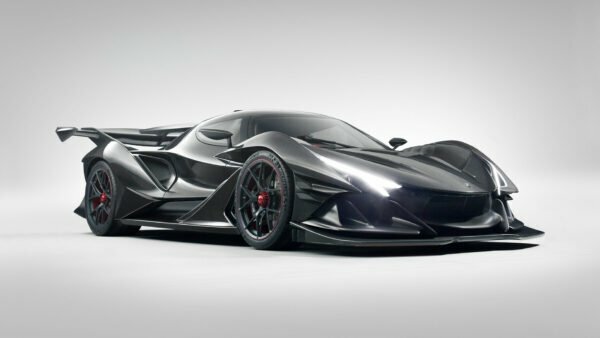 It may be a lightweight at 1665lb, but speed is more modestly brisk than earth-shattering. 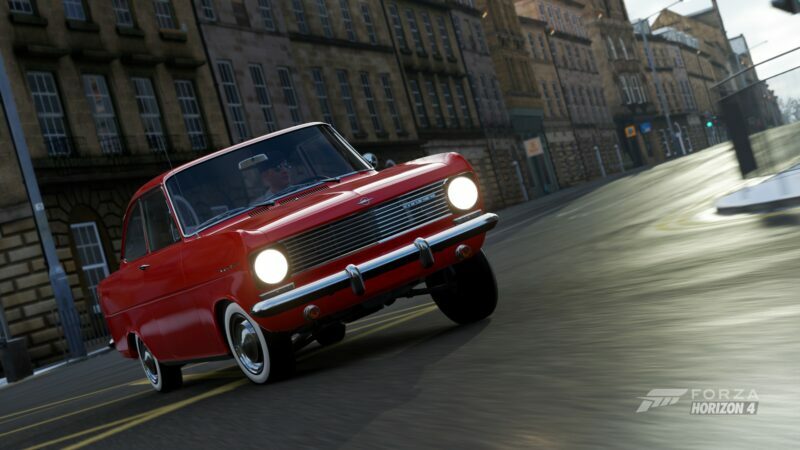 Up next is the 1963 Opel Kadett A. With the Volkswagen Beetle enjoying record success, the Kadett was Opel’s answer to the Wolfsburg’s “People’s Car”. This small 2-door family car was more conventional than the Beetle with the engine in the front, rather than the rear. Whilst the Kadett never reached the icon status of the Beetle, it was still successful with nearly 650,000 sales. Peformance is, like the Imp, on the modest side. The 986cc engine develops just 46hp. Although the Kadett weighs only 1543lb, don’t expect to be setting records on UK roads. Both cars should prove interesting novelties for players looking for more everyday classic models to add to their growing car collection. 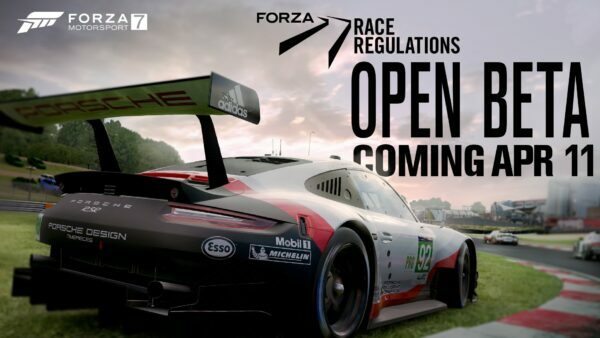 A new batch of race events is never far behind to complement this week’s new cars. 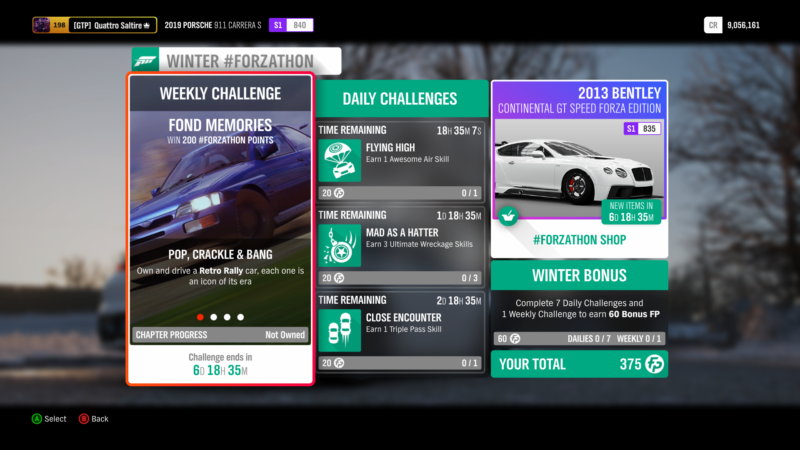 Numerous prizes are also available for players looking to push themselves, headlined by the Maserati Levante S.
Forzathon this week shines light on Retro Rally cars. The first objective is an easy one to kick things off; Own and drive any Retro Rally car. 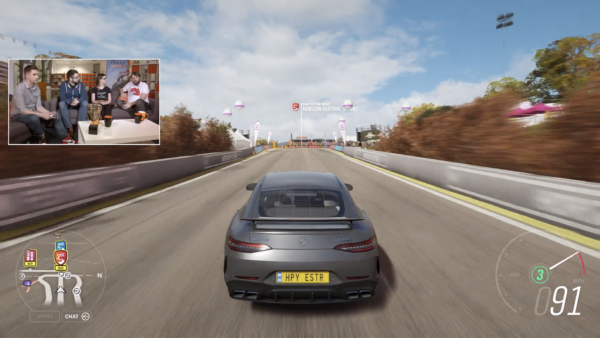 Next, you’ll need to get creative in your overtakes, as you’ll need to earn 3 Airborne Pass skills. The third objective requires some brave pills as you rack up 5 Lucky Escape skills. To finish up this week, push your rally legend to the limit and earn 3 stars in the Derwent Water Speed Zone. 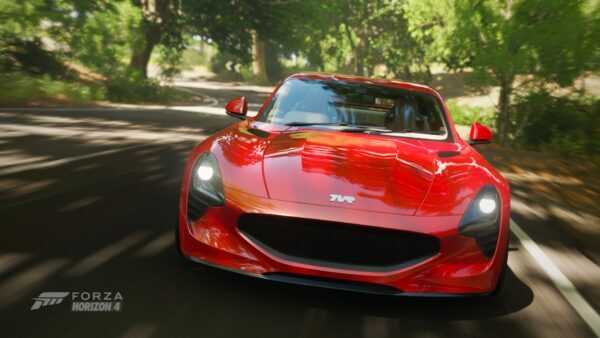 The shop lineup this week is another expensive one, with both cars totalling over 1,000 Forzathon Points combined. The 2006 Hummer H1 Alpha is available for an eye-watering 600 FP. Unless you’re in a hurry to bag one, we suggest scouring the Auction House for deals. 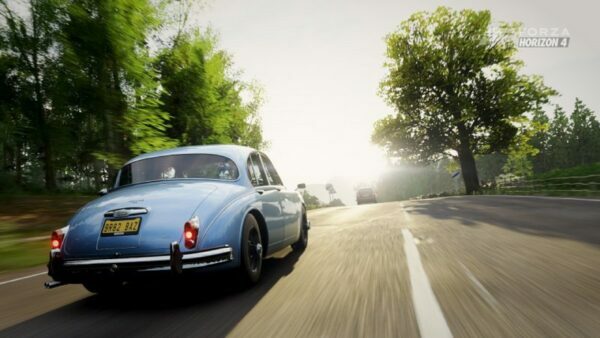 The Forza Edition car for this week is the returning Bentley Continental GT Speed. 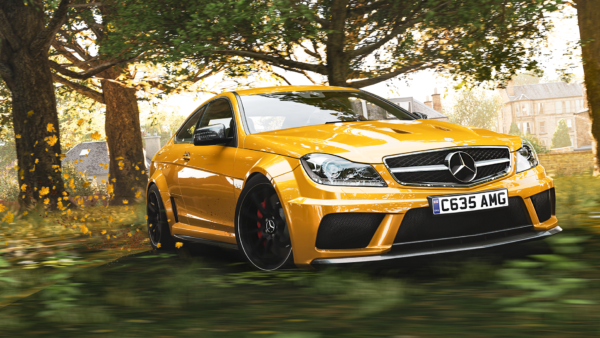 Sporting a GT3-esque body kit, this bruiser comes with a Clean Skills Boost. Although cheaper than the Hummer, it’ll still cost you a hefty 450 FP. If you’re after some Winter style for your avatar’s wardrobe, then a Ski Hat and Snow Boots will set you back 125 FP each. 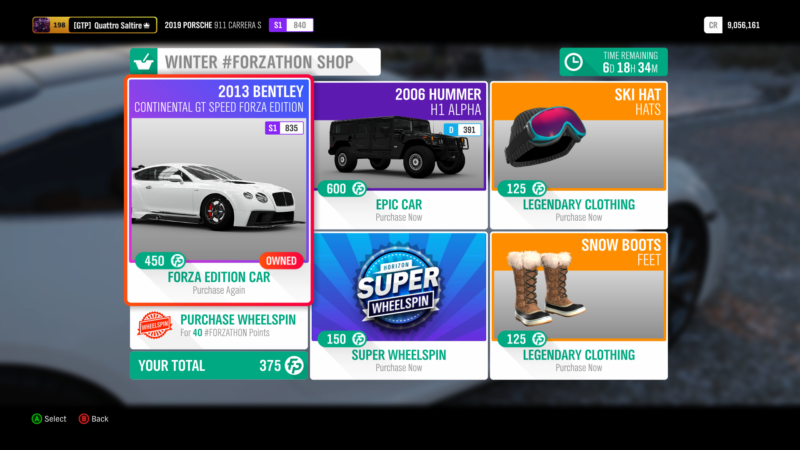 No new rumors for this week, but players can have another stab at finding the Winter exclusive barn find. No spoilers from us, but this find will climb mountains, ford streams, and cross frozen lakes.